We know branch railings have become very popular, but we never thought we’d see them on a houseboat. 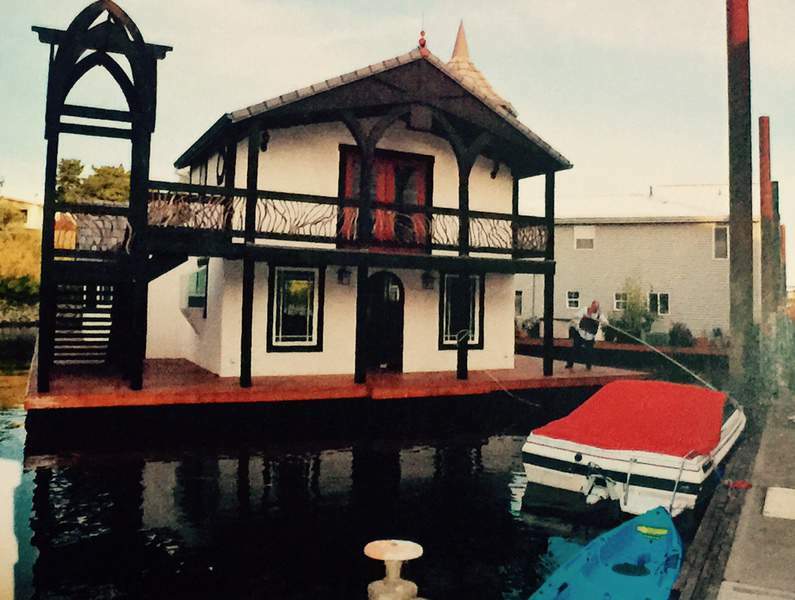 Of course, this isn’t an ordinary houseboat. 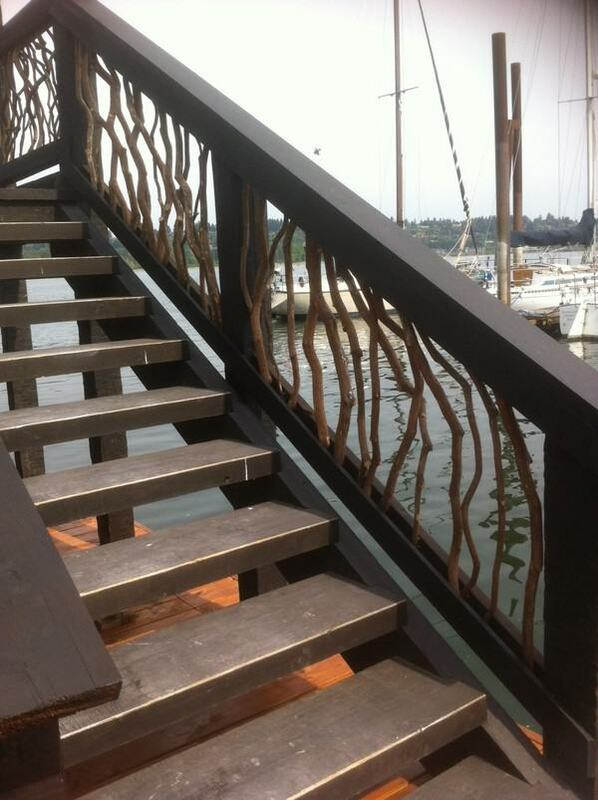 And the one-of-a-kind handrails make it just that much more extraordinary! 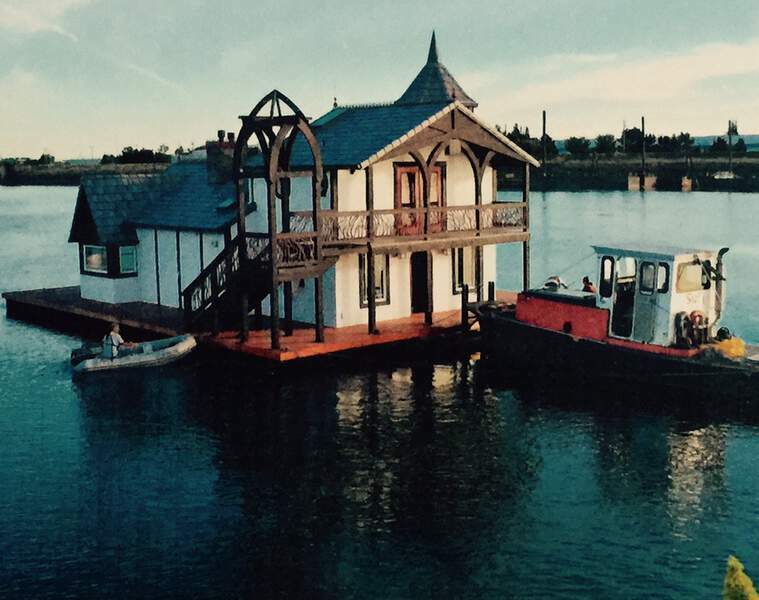 This houseboat with a timber frame branch railing is actually a floating house. These homes on the water often serve as a seasonal or permanent residence. 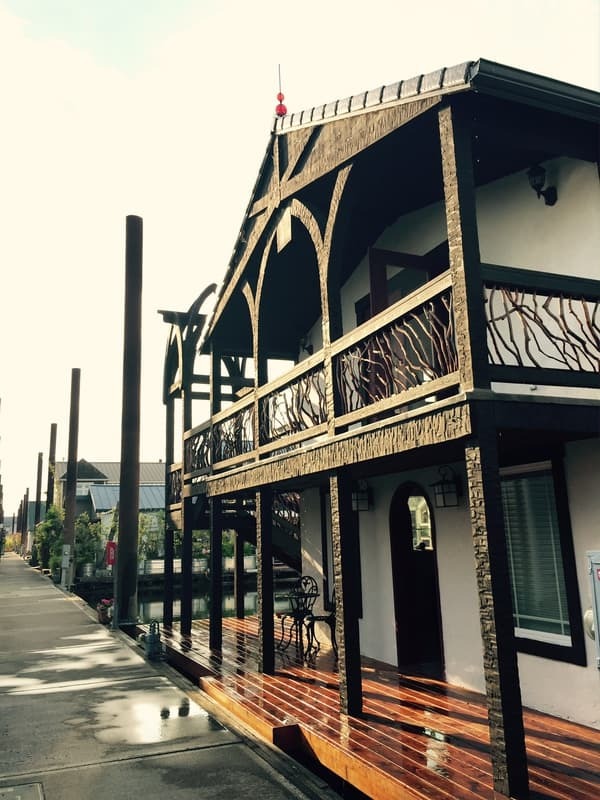 What makes this one so unique is its classic and timeless half-timber design–a popular European style dating back centuries. On display are features characteristic of a timber frame home. 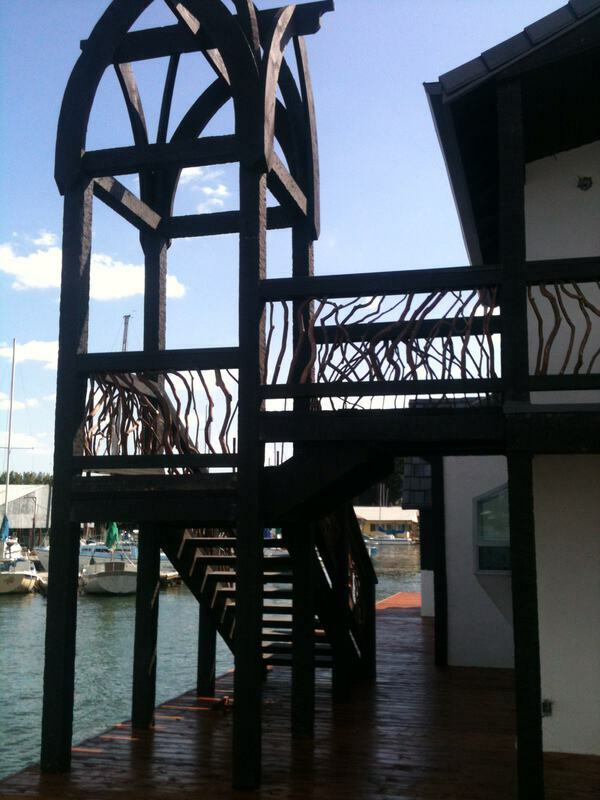 Notably, timbers and handrails painted in black offer a sharp contrast to the houseboat’s white plaster façade. The decorative second-floor overhang is also a distinctive feature. French-style glass doors open up to the outdoor balcony for a beautiful view. 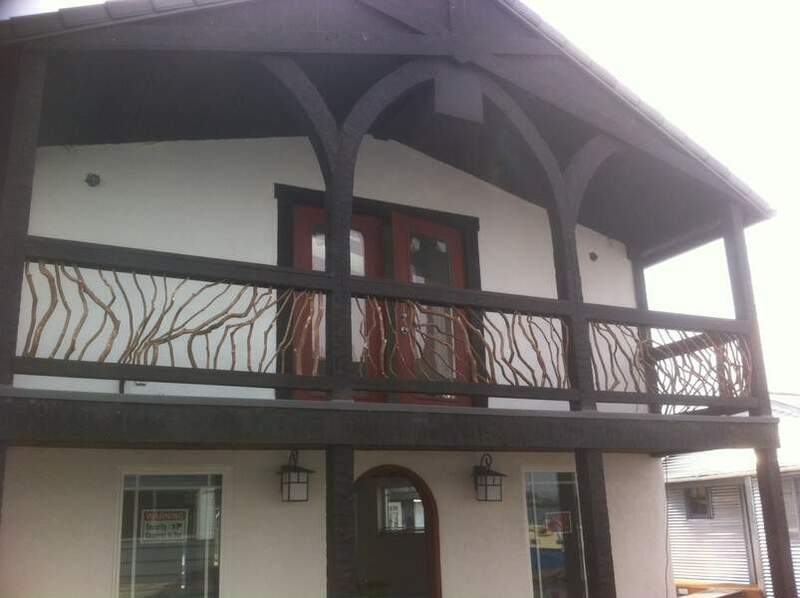 As you can see in the pictures, the railings are as decorative as they are functional. 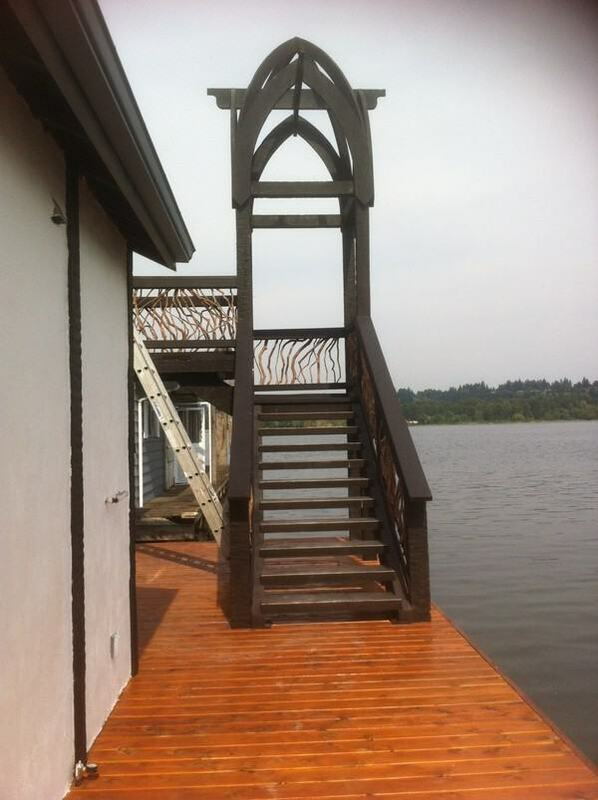 Branch balusters weave together to form a strong and secure safety feature while adding natural charm to an already enchanting home on the water. Non-navigable floating homes don’t have an engine and propeller for propulsion power. To get around, a tugboat tows the houseboat with a timber frame branch railing through the calm and sunny bay. The lines and curves of the architectural elements add visual appeal next to the boat house’s white background. Several bold, black pillars form sweeping arches while meandering branch balusters craft an artistic twist. Below is a close-up view of the railing’s balusters. The organic branches weather well and suit this outdoor setting on the cove beautifully. Also notice the striking contrast between their natural reddish-tan color and the deep brown, almost black stain on the steps. 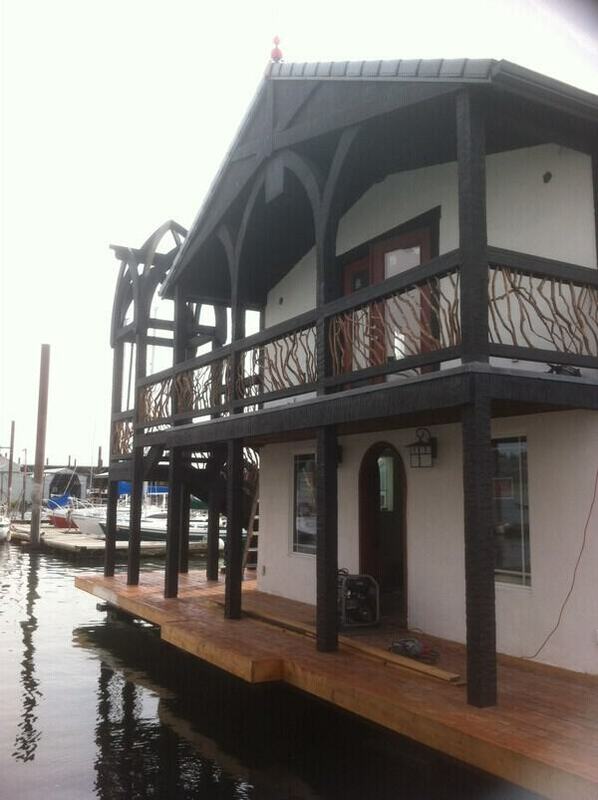 We hope you found this houseboat with a timber frame branch railing as interesting and eye-catching as we did. It just goes to show the unlimited and unexpected uses of Mountain Laurel handrails. Consider integrating the beauty of branches in your next exterior or interior design project!